Be patient while loading image: 940 K, 6224 x 3664 pixels. 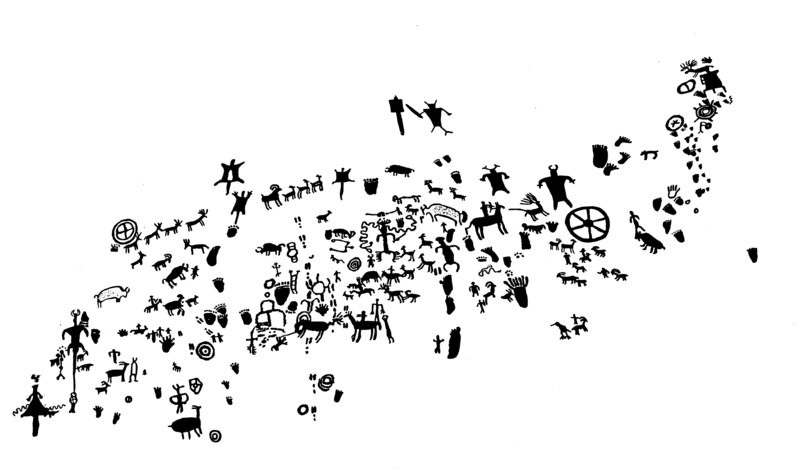 All images and writings in the Rock Art Pages are copyrighted by James Q. Jacobs. All rights reserved. The images and writings can be used for non-commercial, educational purposes without my permission. Images, backgrounds and buttons can be placed in other non-commercial web sites if both a credit and link are provided (ie. Illustration by JQ Jacobs). You may print one copy of this image for your personal use. Inquire for other rights.